Open to REIA Members and the Public with registration. Purchase of the contract template described below is required to attend; see below for details. Chris Casey, fellow REIA Member and principal at the law firm of Casey Law, PLLC, joins us to provide contract law and contract templates! This REIA class is offered in response to Member and Guest requests for a source of contracts for deals. Mr. Casey will provide a thumb drive loaded with a multiple choice Purchase and Sale Agreement that includes Seller Financing, a Deed of Trust for Seller Financing, a Promissory Note for Seller Financing that includes a Substitution of Collateral provision, transfer documents to utilize Substitution of Collateral, an Amortization Schedule, an Assignment Agreement for Wholesaling and a No Compete Agreement, all in Word format. Our class will include instruction for contract completion and education on the related contract law. Mr. Casey's materials are proprietary and as such the class is only available to REIA Members and Guests purchasing this contracts package. We are using our "group buying power" to save; the REIA Member price of the contracts package at this class is $400 and the Non-Member price is $500, each a savings of $100 from Mr. Casey's standard pricing. All prices include one year of related legal work to, for example, add contingencies or provide assistance completing a document. This class will be preceded by the REIA Class Contract Law, Contract Templates on Thursday, February 28th. The Contract Templates class includes a simpler contracts package that may be of benefit to those who work more with "standard" contracts. Please review both class and contract descriptions before registering to attend one or both classes! Attend both classes, including both thumb drives with all documents described, and save the most! The REIA Member price for both classes is $600, the Non-Member price is $800. Our "group prices" from Mr. Casey are only available at REIA, only at the classes! Doors will open at 5:45 PM. Contracts packages will be available from Mr. Casey's arrival until the class begins at 7:00 PM. 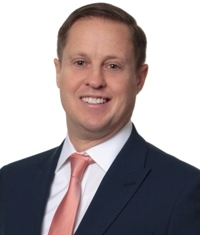 Chris Casey focuses on personal and business liability protection, business formation, purchase and sale and other contract documentation, commercial building and multi-family residential housing owners. What distinguishes Mr. Casey is his prior years of experience as a construction defect defense attorney, his record in the courtroom as a criminal prosecutor and civil trial attorney, as well as his commitment to developing long-term relationships with each client. Mr. Casey started his career, while still a law student, in Oregon as a trial attorney with the District Attorney’s Office. At the D.A.’s Office, he worked with the Drug Enforcement Trial Unit, and successfully litigated dozens of felony bench and jury trials. Mr. Casey left the D.A. with an undefeated trial record. Chris Casey provides REIA Members savings on creation of LLCs and other entities along with commonly used real estate contracts. Additional information is available on the Member Benefits page of the REIA Business Associates Directory. Payment Details: This REIA Class is $49 for REIA Members with registration; Guests are welcome and attend for $69 with registration. PURCHASE IS REQUIRED TO ATTEND as outlined above. All sales are final; refunds and rebates are not available for event or contract templates. Event and contract template fees are payable by cash, American Express, VISA, MasterCard or Discover at the door. Sorry, we do not accept checks. Early registration is strongly recommended! Directions: From 405; take exit #13A at NE 4th St; if traveling from the south, stay to the right at the exit division/NE 8th ramp, merge onto NE 4th St; turn east onto NE 4th St; turn right onto 116th Ave NE; right onto NE 2nd PL and the hotel is on the left.